DEEP stands for Dunbar Earthquake and Emergency Preparedness. The DEEP program is a citizen’s grass roots effort to ensure our community is able to take care of ourselves after a disaster. Tools for creating resilience on a local scale (city block and apartment complex level). Click here to book your spot and for further information. The Rapid Damage Assessment (RDA) course teaches advanced skills to identify unsafe conditions in wood frame, masonry and concrete construction caused by floods, earthquakes or windstorms. Individuals learn to assess damage to determine whether buildings can be occupied. We will use BC Housing’s course material. 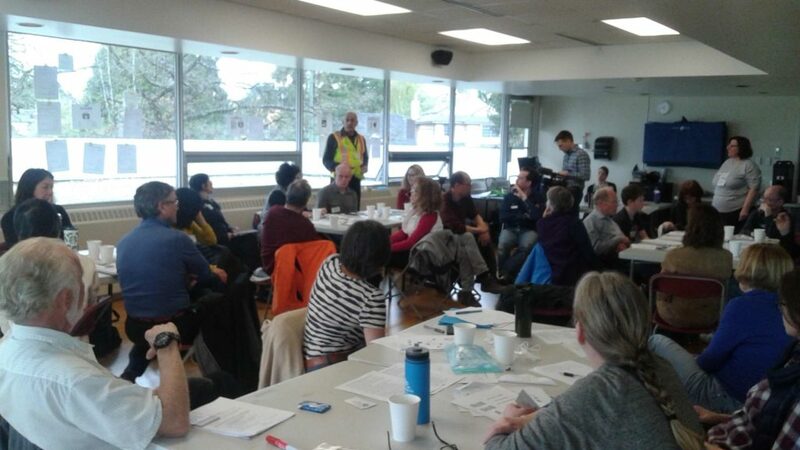 Around 30 people gathered to help DEEP test our citizen disaster response model at the Dunbar Community Centre on Saturday September 30, 2017. 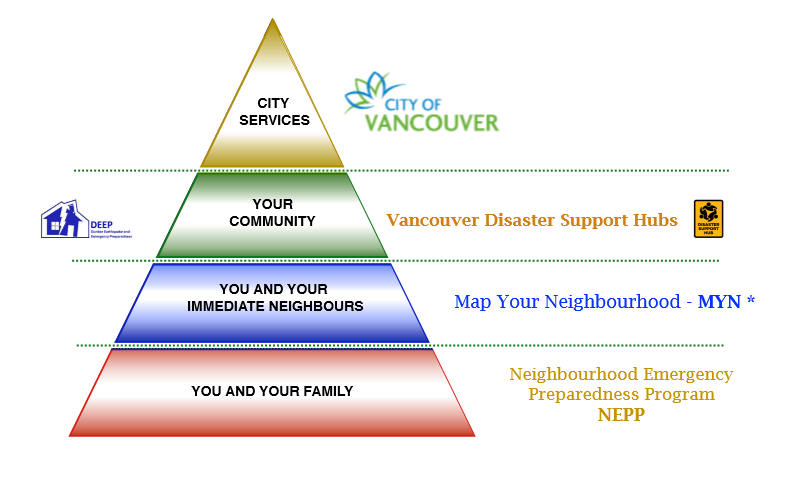 It’s important to remember that after a major disaster occurs people will be on their own for a significant length of time and will need to look within their local resource base, as city and emergency resources will be over extended. 1. Prepare an emergency plan, so every member of your family understands what to do if there is an earthquake or other disaster. 2. Store extra food and water in your home. 3. 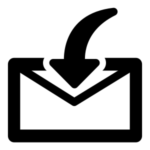 Prepare a “Grab and Go” kit with supplies such as food, water and documents. WHAT IS MAP YOUR NEIGHBOURHOOD? 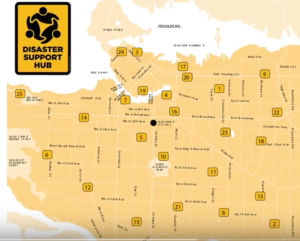 “A major earthquake in Vancouver will impact everyone in our community. Families, neighbours, and community organizations will need to work together to support each other while emergency service personnel are responding to high-priority incidents. DEEP offers training exercises for the DSH at the Dunbar Community Centre. Please see Events .